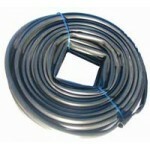 PVC SLEEVE TUBING. Buy quality Auto and Marine Electric Parts and Accessories online, Sydney. PVC33mm PVC tube, blackRoll is 50 meters long Also known as "spaghetti" sleeve Use to run cabl..
PVC44mm PVC tube, blackRoll is 50 meters long Also known as "spaghetti" sleeve Use to run cabl..
PVC66mm PVC tube, blackRoll is 50 meters long Also known as "spaghetti" sleeve Use to run cabl..
PVC88mm PVC tube, blackRoll is 25 meters long Also known as "spaghetti" sleeve Use to run cabl..
PVC1010mm PVC tube, blackRoll is 25 meters long Also known as "spaghetti" sleeve Use to run ca..
PVC1212mm PVC tube, blackRoll is 25 meters long Also known as "spaghetti" sleeve Use to run ca..
PVC1616mm PVC tube, blackRoll is 25 meters long Also known as "spaghetti" sleeve Use to run ca..